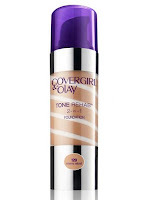 Recently I had the good fortune to stumble across Covergirl & Olay's new Tone Rehab while in store trying to find a replacement product for a less desirable foundation that I had tried a few weeks before. I picked up a shade darker than I would usually pick up as I am tired of looking pale and pasty and, of course, before I even put it to my skin I worried that I might end up looking more like an orange than a covergirl before I even started, but didn't much want to look like a vampire either, so only time would tell how this was going to turn out! I took myself home and made sure my face was nice and clean and free of any old make up and began the process of applying the Tone Rehab! 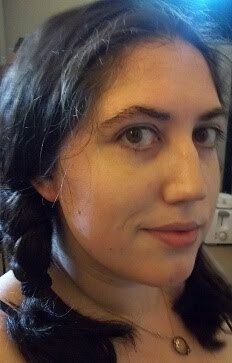 Here is my skin before Tone Rehap. It is devoid of all make up and is blotchy but not too bad if I do say so myself! Surprisingly, you really do NOT need very much of this product, a few squirts at best, to cover your entire face! This makes application quick and smooth and very LIGHT!! My first impressions were good and my face didn't feel like I was about to entertain the world with an old style photo shoot - you know, the ones where they used to cake you in make up for an hour before the shoot and then expect you to ply it off with a scraper!! (Or was that only me!?). The light and silky smooth Tone Rehab slipped over my skin like a glove and felt fresh and clean on my skin. The colour was a perfect olive and my skin didn't look washed out or as though I might be appearing in a mom special of vampire diaries at any moment! 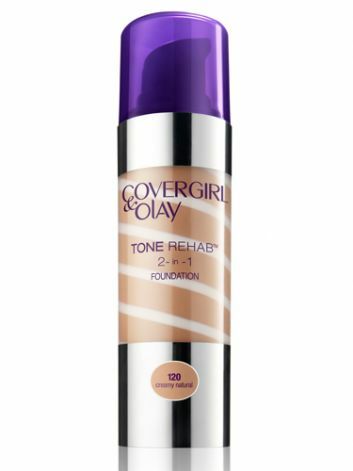 Tone rehab is not sticky, it isn't flakey and it doesn't leave clumps of goo in your wrinkles like other foundations - I was, and still am, impressed! The bottle looks small for the price you pay but it will last you a LONG time! 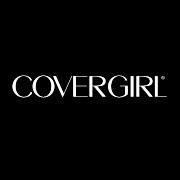 You really do not need to use a lot of it to get the coverage you want, need or expect from other products slightly similar to this across the board. I think Tone Rehab is slightly ahead of the game with this one - I just couldn't find a fault with it at all! It did not leave a line at my jaw like some and it didn't feel as though I was wearing a mask - it wasn't heavy at all and it was very smooth to the touch. It glides on easily and it keeps very well! I didn't have to re-apply and it didn't matter if I added a layer of powder or not - and so I chose not to! The price is high, but the cost is worth it! The product will last you a long while and will keep you feeling fresh and ready to face the world with a smooth finish and a smile! I am certainly going to replace my old foundation with this 2 in 1 and will almost certainly be buying it again in the future. I didn't really start to wear make up until I reached my twenties but since then so many wonderful products have hit the market that I feel like a kid in a candy store keeping up with the latest in innovative make up "technologies!" I give Covergirl and Olay's Tone Rehab a magnificent 10 out of 10 - I just can't fault it!! It doesn't happen often, but there it is! If you would like to try this product you can find it in most of your local drug or grocery stores and if you keep checking back, you may even be able to score a good deal or a coupon off of the starting price to make this a wonderful deal if you are yet to decide if you'd like to try it! If you DO try Tone Rehab, please let me know how you feel about it and share a reaction of two!! I love hearing from you and can't wait to share my next product with you either! ***All thoughts and opinions in this blog are my own. I was not compensated or offered anything for my opinion and all logos and product names are solely the property of the owner and not me, thank you! Ooh! I may have to try this. Your face looks glowing in the after pic. More pale though, but I think it was the lighting. I actually like the pale look, but the un-healthly lifeless pale look is different, which I feel like i'm getting. I've been lightly exfoliating to see if that helps any. I'm definitely going to check this out. Thank you! Now I will have to try this out!! Great review!! 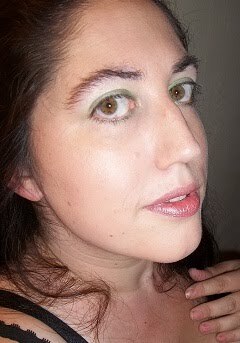 I feel like I should have a disclaimer about my un-ruly eyebrows, I can assure you I have fixed them up a little since!! :D Just call me Einstein! I never rant and rave about a product I am on the fence about, with this one I am over the fence and running with it! I love it!! The First Years Deluxe Feeding Seat Giveaway! Quick & Easy Bread for Your Belly!! - Recipe! Win a YEAR's supply of Sobe! Buy 1 get 1 free photo books at CVS! Up to 80% off Tanks at INHABIT! BOGO 50% off Sale at Lane Bryant! 20% off at CVS thru 7/29!! $10 Amazon Gift Card Giveaway at 500 Likes! Its a date! Giveaway Event! - Free blog opp!! When will I sleep again? **HOT** FREE Starbucks Refreshers OR AMP at CVS!! Its BACK! Julep Maven Boxes for a PENNY!! Woolite Extra Dark Care Sample and Share! HOT HOT HOT FREE RAZOR! !